Lately, there has been a lot of chatter regarding Tesla and their bid to open their battery manufacturing plant, or "Gigafactory", somewhere in the US. Jalopnik writer and Son of Texas Patrick George earlier wrote of the "hypocrisy" his home state is spinning by banning sales of the Model S within its borders all the while asking for them to locate said factory in the Lone Star State (there is a little hypocrisy, but read on). I'm here to tell you that it might make PERFECT business sense by Mr. Musk to make batteries in Texas. Texas gives about $19 Billion in tax incentives to businesses each year. Many tech companies, such as Facebook, eBay, and Apple, have all decided to take advantage of those concessions and bring jobs to Texas. How much are we talking about, money-wise, per company? When Samsung brought their business to the Austin area a few years ago, they got $231 Million in incentives. Also, Virgina and Texas have been going back and forth being Forbes' number one state to do business in. This is why. I'm guessing that the factory would be located near a large city, so this would limit the locations to San Antonio/Austin, Dallas, or Houston (and Lubbock, per Mr. George). No, I haven't forgotten about El Paso. The cost of living in these areas is EXTREMELY low compared to other areas of the US. They will get the most bang for their buck, all without a state income tax. Elon and crew won't be making half a million cars anytime soon. So why is he planning on making half a million batteries? That's right: TO SELL TO OTHER AUTO MANUFACTURERS!!! With it's plethora of rail lines (for domestic sales) and having the Port of Houston, which is the busiest shipping port in the US, close by (for international sales), Texas makes a damn good argument for itself. Tesla Cars For Sale in Texas?! Let me ask you something: do you think that Texas Lawmakers would be A LOT more likely to approve limited direct sales by Tesla to consumers if Tesla opened their battery plant there? You bet they would. There are about 26 million people living in Texas, or about 8% of the nation's population. The state is a MAJOR market for all auto manufacturers. If putting the Gigafactory there would open up the market on top of all the other goodies Tesla would get, why wouldn't they? Texas has been trying to bring in different kinds of businesses into its open land, but they need to ensure that they are well-diversified away from Energy. Underneath the Texas soil holds about 3-4 times the oil that Syria has. The wells won't go dry anytime soon, but they must plan for it. The oil bust of the 1980s is still remembered, and they must protect against a future reoccurrence. 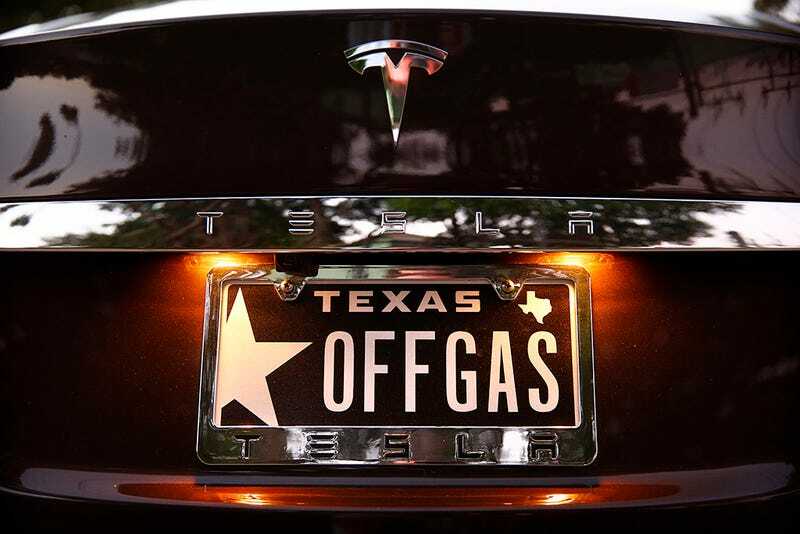 Love it or hate it, there are damn good reasons why Elon Musk should consider Texas for his Gigafactory thingamajig. There are pros and cons to every state that is vying for their business, but this would be a great way for Tesla to turn an adversary into a strong ally. Keep the comments nice, people.